A student’s life is equally hectic and fun-loving! During the tussle with the best of both worlds, the most significant thing he can rely on is his gadget, the Smartphone. Today, the Smartphone applications can do wonders! Often trivial stuffs utilize heavy amount of hours. The time can smartly be managed by handling its responsibility to the apps built for welfare and betterment of student’s life. 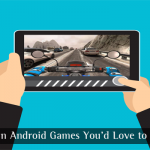 Following are the 10 best Android apps that are must in every student’s Smartphone. However, the list is exclusive of some basic apps, assuming that they are extremely mandatory and are already installed, such as E-Mail, Document, Excel Sheet, Power Point, Voice Recorder and Dictionary applications. A simple calculator can be found in all the cell phones. At the outer edge, students have to deal with lot of calculations including exponentials, trigonometric functions, logarithmic functions and what not! The scientific calculators are designed to calculate problems in science, engineering, and mathematics. RealCalc is one such app, widely used for its provision of aforementioned functional abilities. You definitely cannot miss its typical look of a physical calculator! 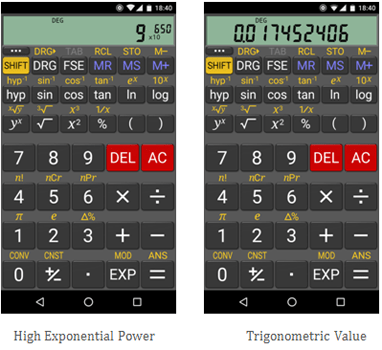 You can try out other scientific calculator apps such as Calcu, Calculator++, Classic Calculator, Calcoid, ProCalcApp and so on. Any.do is an award-winning app known for its smooth and user-friendly task creating and managing abilities. It basically has six broad categories in which you can classify your tasks, namely, Personal, School, Work, Places to Visit, Movies to Watch and Grocery List. There is also a provision for adding user-defined categories. Select the default categories and sign up for your Any.do account. Enter your tasks based on the time period you wish to get it done. You can attach multimedia notes to your tasks and set reminders. 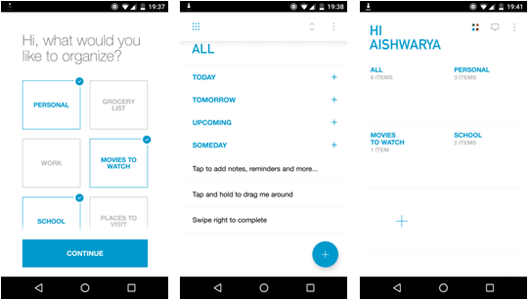 You can try out other to-do list apps such as Evernote, Todoist, Wunderlist, Google Keep, etc. Scanning documents is another day-to-day task carried out by students. TinyScanner is a quite simple scanner app with much simpler and straightforward options. All you have to do is capture the document image you wish to scan and tap the check mark at the bottom. Next, you have brightness options for savingthe final scanned copy. 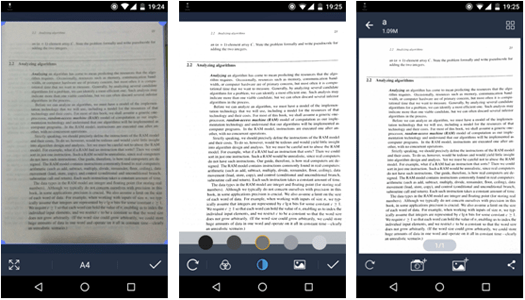 Again, tap on tthe checkmarkand name your scanned document. You can try out other scanner apps such as CamScanner and Fast Scanner. OneDrive, Dropbox is well-known cloud storage services. Be it ebooks, audio or video lectures, powerpoint presentations, important PDF documents, notes captures; when it comes to academic materials, you must be able to access from on any device anywhere and anytime, and at the same time share those with your classmates. For this, students should store them on cloud storage platform. Google’s Drive is another excellent app successful in the provision of this service with a free space of 15GB for the Google account holders. Scientific Calculators cannot do all wonders in aid for complicated mathematics problems, especially when it comes to calculus. 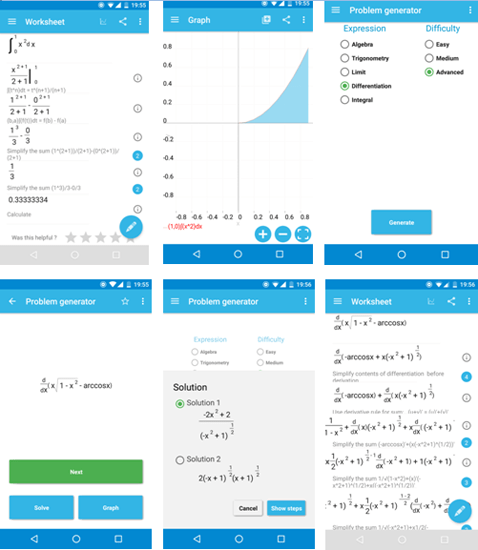 MalMath is one of the best math apps that come up with solutions for the problems you enter on its Worksheet along with a display of graph for the same. This is not only for those who find math freaking difficult, the option for Problem Generator attracts the math lovers too! It creates its own problems based on the math topic and level of difficulty you choose. You can either solve it for your practice or get acquainted with variety of problems by checking out the solutions for each of them. Additionally, you can improve your methodology of solving. You can try out other Math supportive apps such as Mathway, PhotoMath and numerous others. 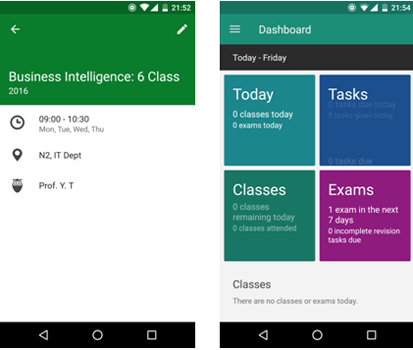 As the name suggests, My Study Life app keeps records of your Classes, Exams and Tasks. Instead of noting down your academic schedules somewhere in the diary, you can go for this remarkable app. You can feed in the Class subject, time, room no. and name of the professor or lecturer. For the category of exam, you can enter exam date, time, subject, seat no and exam hall place. This detailed piece of information lets you stay updated about each day’s routine and upcoming events, particularly displayed on the dashboard. This is definitely a must try! You can try out other study scheduling and timetable apps such as TimeTune Schedule Planner, Student Agenda, Studies Planner and so on. Known to be the largest digital library, Scribd consists of plenteous e-books, audiobooks, comics and other documents. It is obvious that students need to refer various books in order to gain knowledge about even a small bit of topic. Not free of cost except two weeks free trial, it charges 8.99 USDs per month for the membership wherein the price is worth its service. 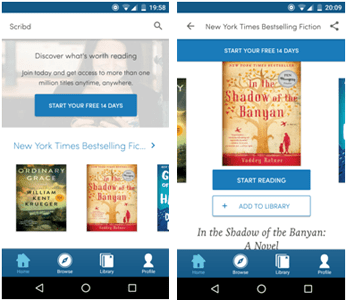 You can enjoy reading anytime and anywhere as it stores the titles offline. Interestingly, it is referred to as ‘Netflix’ for books; a reader’s paradise for sure! Quizlet is a popular learning app where you can search for millions of study sets and join classes. This app holds a wide range of topics to be learnt and lets user create their own study sets as per their field of interest and convenience. 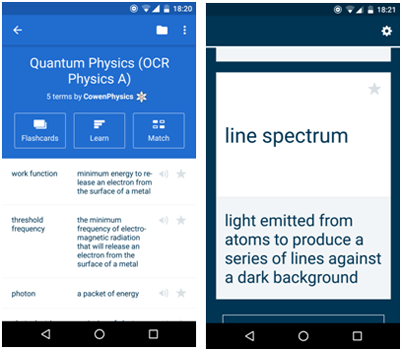 Flashcards, Match quiz and its learning mode saves students from any kind of boredom during studying. With this app, learning any subject is just a cake walk! Now, this is something really interesting! Not perfectly a distractor app, but it comes up with a unique concept of saving user from the cell phone distraction. The application is all about growing a plant in the time period you wish not to get distracted. In case you give up, the plant will die. As successfully as you let the plant grow into a tree, the forest of your work schedule will grow denser and lusher. This won’t block your access to different applications on your phone, but will keep you reminding to stay focus in desire of growing your own forest and hence, is the app name! You may wonder why is this app in this list of must Android Apps is for Students! 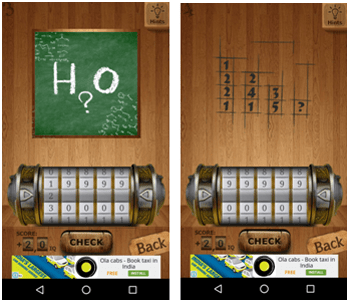 Well, instead of spending time playing any other games on your phone in your free or leisure time, it is better you get engaged in the brain exercise games that boost your IQ and enhances analytical and logical functionalities of your brain. 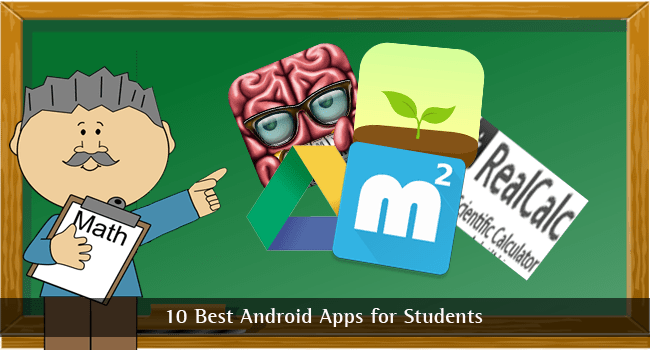 Here goes the list of 10 best Android Apps for students. For every student, one of the most important characteristics is to ask questions. So, ignited minds, ask questions and give your valuable suggestions to us in the comments below. Thanks for these. I do a fair bit of teaching online and I’m about to start my education degree. Scibd looks like it might become one of my favourite resources. I simply love Evernote for notes taking. I have used it a lot in my life. 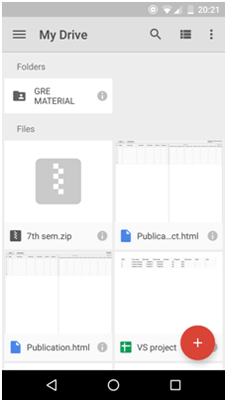 Dropbox is also important app for sharing your assignments and projects as a student. Thanks for the post. These are amazing helping apps for the students, Every student can use these apps easily to improve his efficiency in studies. Great post. Great! really informative post, thanks for this post. This is very helpful article for everyone. Keep writing like this one. Thanks you so much for this app list. Being a student I already use those app. But thanks for your great work. Keep it up! These are the best apps for students and thanks for sharing such a useful information. Great work and keep it up. Nice article and helpful for students like me. The best app which I like is Forest: Saves from Phone’s Distraction, I haven’t heard of this. Going to try this and will share the results here soon. Thanks for sharing. That’s fantastic post :) Especially Best IQ Test: Brain Exercise Game is a great app. Instead of spending time playing on my phone in my free or leisure time, it is better to engaged in the brain exercise games. Howdy! The list of above android applications is very healthy for students. Thanks for sharing your ideas with us. Nice! Surprised to see Marks++ app not on the list. I think Scientific Calculator is also one of best app for students easily calculate all logical functions. It is a very important post for students. All apps are very useful in day-to-day life. TinyScanner is very important to store our important documents and Google Drive plays an important role in storing our all data.